In North America it has been labelled the ‘pintail problem’, a significant decline in the flock across all four flyways and a restrictive one pintail per day limit in response for the 2017–18 season. It is a familiar tale that echoes our own experience in different jurisdictions with blue-winged shoveler, hardhead and more recently, Magpie geese. Following the drought, the pond count was well above average in the late ‘90s but pintails floundered while other species flourished. 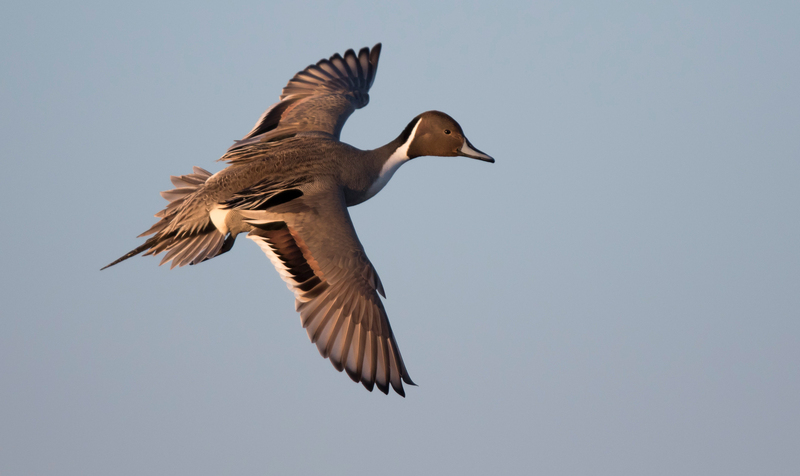 More recently, wet conditions have not helped the pintail, which prefer shallow water, and shifting agricultural practices have also impacted nesting cover. Pintails nest away from water making them vulnerable to predation. 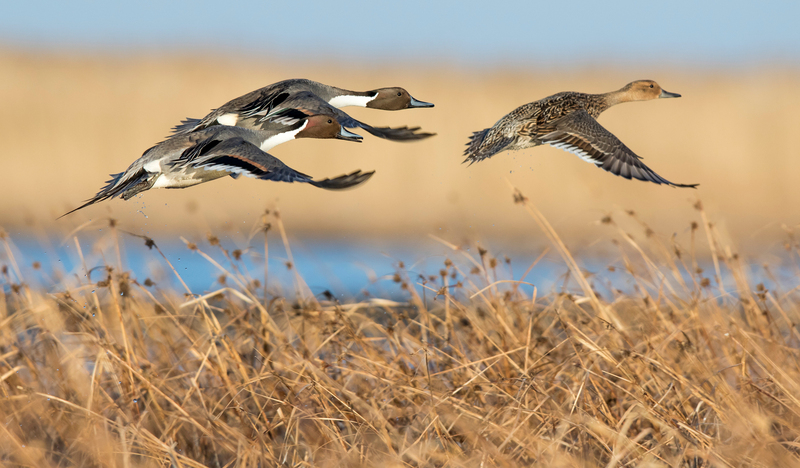 In a special report, Delta Waterfowl outlined wetland protection, availability of habitat, water and predation as the primary drivers of pintail decline and argued a restrictive bag limit was an unnecessary response. “I think it’s entirely unwarranted,” Dr Frank Rohwer, president and chief scientist of Delta Waterfowl said. The argument is bolstered by research from University of Nevada-Reno Ph.D. candidate Ben Sedinger that suggests hunting’s impact on duck populations is even lower than previously thought. “It’s estimated that 35 per cent of pintails die in a given year from all causes, including the approximately one to seven per cent that are shot,” Sedinger told Delta Waterfowl. “Additionally, if we reduce the number of pintails harvested, roughly 35 per cent of the population will still die in a given year. It’s just that more will die of starvation, disease and getting eaten (by predators). Harvest may be an easy variable to manage, but fine-tuning the daily bag limit from two to one is very likely futile. Following five years of declines, the 2017 survey shows pintails have increased 10 per cent to 2.89 million, but they remain 27 per cent below the long-term average. Because an adaptive harvest model is in place the regulator has already responded to the 2017 survey, announcing a bag limit of two pintail per day for 2018–19, a full year before the season. Delta Waterfowl, Ducks Unlimited and other waterfowl organisations continue to focus on management, habitat, water and promoting breeding success as the best way to make a positive impact on pintail recovery. “Extensive North American research has shown that continental duck populations are primarily influenced by conditions on the breeding grounds and that regulated harvest is largely compensatory,” Delta Waterfowl CEO Dr Scott Petrie said.